June 1971. Wimbledon, London England. 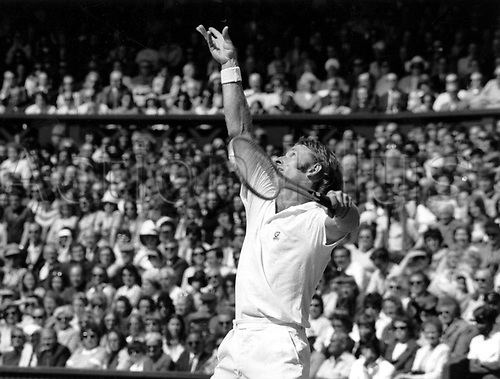 Rod Laver of Australia plays in the quaterfinal as number 1 seed, at Wimbledon in June 1971.